St. Pauli is one of the most famous areas in Hamburg, known far beyond the city’s borders. Everybody who thinks ‘Hamburg’ thinks first of all ‘St. Pauli’ and ‘Reeperbahn’, and every year about 25 million visitors come here. However, St. Pauli has a few more sights to offer besides its famous entertainment and red-light district. Next to the Reeperbahn, the Landungsbrücken (‘Landing Bridges’) are also considered to be one of the symbols of St. Pauli. It was here that the first docks were built, which were originally meant to cater to steam ships that filled their coal up here. Today most of the harbour excursions depart from here and one of these should definitely be on your itinerary. 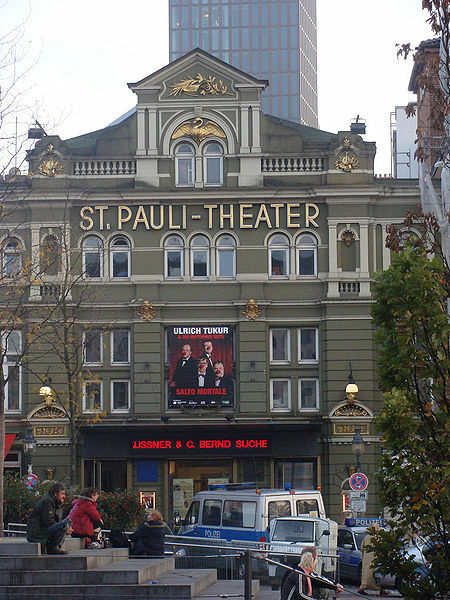 The famous St. Pauli Theatre should also feature in your plans. It is well-known for its comedy and cabaret productions. St. Pauli is also home to the Operettenhaus (Operetta House) on the central square, Spielbudenplatz, where well-known musicals like ‘Sister Act’ are staged. The largest fair in northern Germany takes place at the Hamburger Dom three times a year, catering to over a million guests. And after all of this, the innumerable St. Pauli bars, pubs and clubs of varying milieus look forward to your visit.